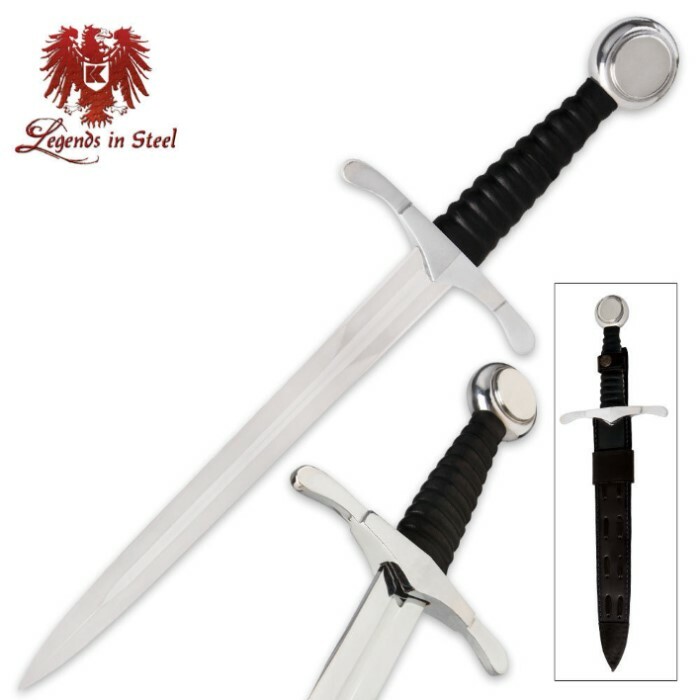 Classic Danish Dagger High Carbon With Sheath | BUDK.com - Knives & Swords At The Lowest Prices! Sturdy, strong and solid is what you get when you own the Classic Danish Dagger. 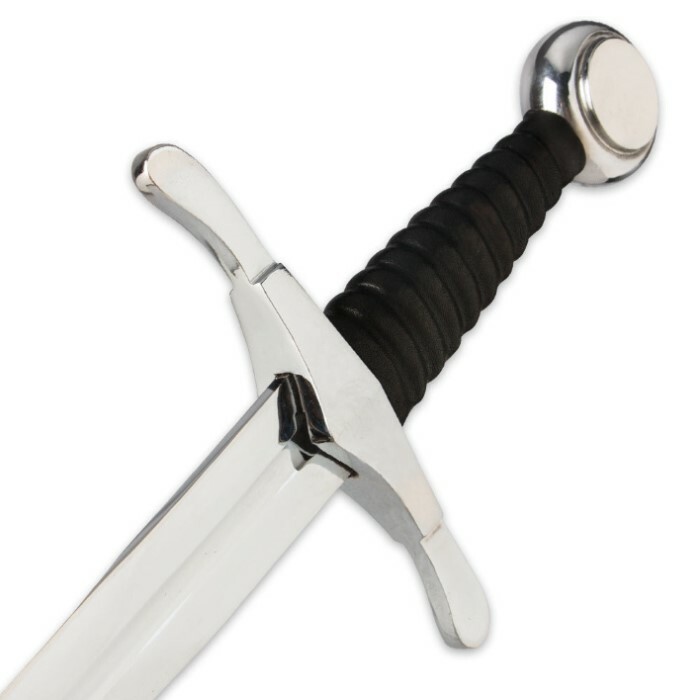 The chrome-plated pommel gives a perfect balance to the 11" high carbon steel blade. Both pommel and blade are hand-polished to a stunning sheen. The handle is leather-wrapped wood. 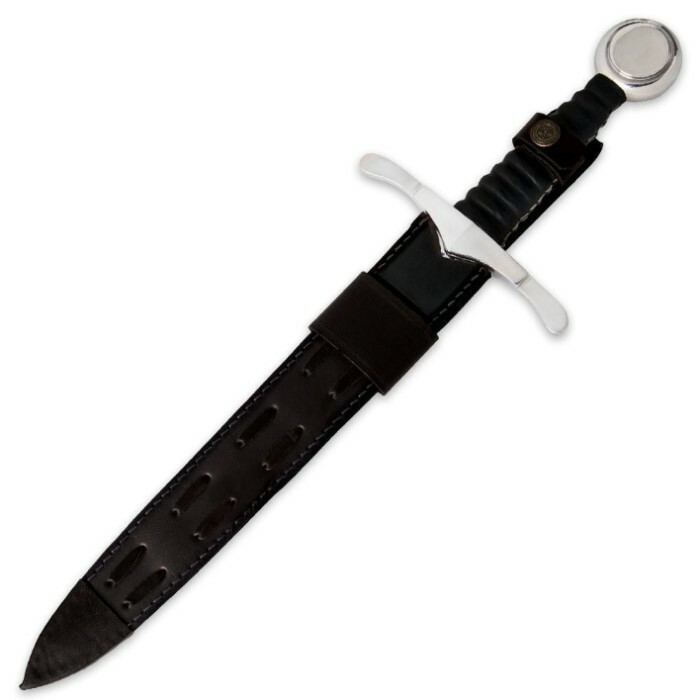 It comes housed in a black leather sheath with decorative sheath. Bought one for my son, we are still spending time with a grinder and file the blade was not even factory sharp, and the tip was as thick as the pommel, now this still is great and the handle is awesome, great grip, but plan on spending some time getting this sharp.